Home » Theme Developers » Does ElegantThemes Deserve to be the Best Theme Developer? ElegantThemes has become one of the most popular WordPress theme marketplaces. 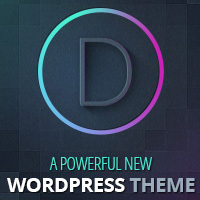 The company currently sells over 80 unique and exclusive premium themes. The themes are also packed with additional features, including shortcodes, a variety of theme options and page templates. This functionality is why ElegantThemes is so well matched with ThemeMask. There are many theme marketplaces for WordPress, so it can be difficult to know which to trust. Here are a few reasons why ElegantThemes products are rated so highly. ElegantThemes products all come with a variety of settings that can be edited without touching a line of code. If you don’t understand PHP, HTML and CSS, or just want to edit settings quickly, the Elegant Themes control panel makes customizing your site much easier. Whether you want to change a color scheme, edit the navigation panel, alter the layout of your site or manage SEO options, many settings can be customized with the ElegantThemes ePanel. Even if you’re a professional web designer, being able to edit settings quickly is always welcome. Page Builder is another bonus of using an ElegantThemes product. By using Page Builder, you can edit the layout and design of your posts without knowing HTML. Complex layouts, which are usually difficult to create in WordPress posts, are easy to achieve in the drag-and-drop way. With most themes, if you want to add a gallery or sitemap page you need to install an additional plugin. Standard themes often don’t support multiple page templates. Elegant Themes products do support this feature, and you can switch between them simply by selecting from a list. Layouts for each page can also be set individually. Examples of page templates include image galleries, contact forms, member login pages and full width pages. Page templates provide a much greater control over how your content is displayed. ElegantThemes products include shortcodes for buttons, boxes, toggled and tabbed content, slideshows and image sliders. You can also create columns with shortcodes and add author info to a post. ElegantThemes understand that WordPress is far more than just a blogging platform. Many of the company’s themes aren’t designed for basic blogs. Magazine themes, for example, are perfect for large content sites that display a variety of media. Portfolio themes are far less cluttered, and are designed to show off recent projects with a simple and crisp design. Whether you’re using WordPress for a blog, multimedia portal or personal site, there’s sure to be an ElegantThemes product that fits your requirements. Unlike most theme companies, ElegantThemes is priced on a yearly subscription basis. Instead of paying $80-100 for just one theme, a $39 per year subscription to ElegantThemes provides access to all 80+ themes in the directory. That means you are just paying less than $0.5 per theme. It doesn’t matter how secure and reliable a theme’s code is – there’s always a chance of problems during installation or usage. ElegantThemes provides excellent and fast support, along with regular updates. If you have a problem, the support staff will help you to overcome it as quickly as possible. Unlike other theme providers, which often let their themes become outdated when WordPress is updated, ElegantThemes believes in longevity. While you’re a member, you have access to the latest versions of each theme. All themes are updated if they become incompatible with WordPress, so you’ll never be forced to run old or unsecure versions. Several years ago WordPress sites were mainly used as blogs, and extra features like page templates and shortcodes weren’t as important. Today, WordPress has become a versatile platform that supports many different types of website, including eCommerce stores and portfolios. ElegantThemes produces themes to cater for all types of websites. The result is a highly versatile catalogue of themes, with functions and features that make each product suitable for a variety of purposes. This means that it’s common to find a theme with the perfect layout or structure for your site, but with an appearance or design that you don’t like. This is where ThemeMask can be so valuable. By purchasing masks for an Elegant Themes product, you maintain the functionality and content layout of a theme but completely change the header, background and footer design. Masks are available for a number of ElegantThemes themes, and each completely alters the “feel” of the basic design with new and exciting images. As we mentioned earlier, ElegantThemes products are updated regularly. ThemeMask always keeps masks up to date too, so you’ll never have to worry about being left with incompatible products. Masks don’t make permanent changes to the code of a theme, so you can add, remove or replace them whenever you want. ElegantThemes makes some of the best themes in the WordPress industry. With ThemeMask, you can add beautiful styles to the already excellent functionality of ElegantThemes products. The combination can really make your WordPress site stand out. Not believing you can get the best of both worlds? Just take a look at Templatelite.com. This site is built entirely using the Chameleon from ElegantThemes and the Art mask from ThemeMask. Now imagine what a big difference ThemeMask can make to your site!